Hey now! 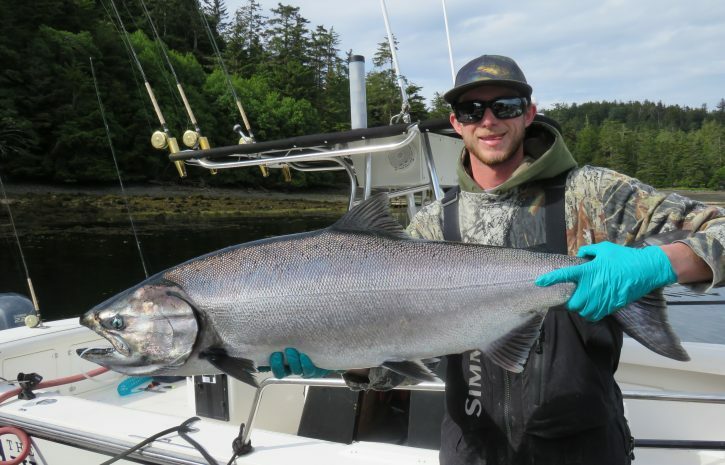 Fishing is good here at Langara, chinook in numbers are hitting and some size showed over the last 24 hours! Robert Yoshioka grabbed a 42 lb fish late this afternoon, fishing deep out off the shelf at Gunia. This fish hit at 100 feet on the cable, what a nice way to end the day. 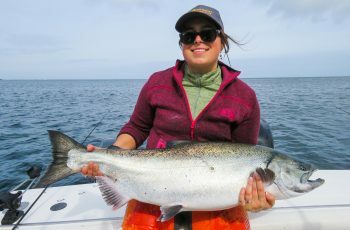 This fish is the largest chinook up here at Langara I have heard of this season, and our clubs top fish after four days fishing. 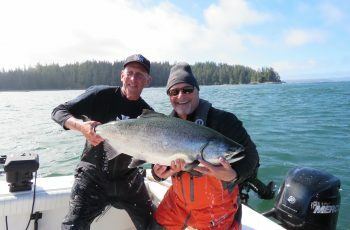 The Shigakis were here again with Bob, and told me on the ride up the hill they had a great afternoon, hitting lots of spring salmon. The season just got into full swing but the fish are here in good numbers this week. 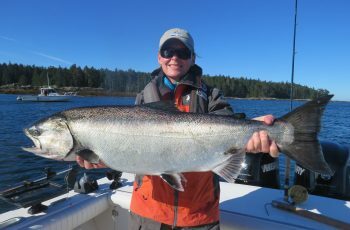 130 chinook were on the board for the trip with 5 tyee. 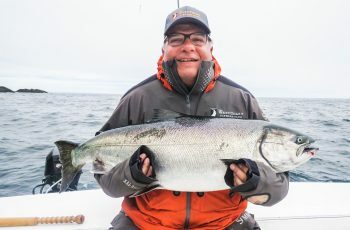 Bob Willis had a 31.5 chinook out on the west side, Carlo Wien snuck a 31 lb tyee in from Boulder, He is the famous picture dude that has traveled from Langara all the way through Panama filming and taking pictures for us of the WCFC adventures. Patrick Whyte angled a 31 out on the west side, Pat visiting from New Zealand. I fished the west side for the day and found fishing excellent. I fished with Parry Robson and Mike Kelly and we had lots of springs to 27 lbs, the majority at just under 20 lbs. We hit a decent am bite and had a dozen on with half that landed. In the pm we lit it up for a couple hours and for an hour only got one bait to the desired depth, thank you Scotty Down-riggers….the only way to produce when fishing deep, Fishing 40 pulls with eight ounces seems primitive when you can use a release clip and fire your line down 100 feet into a bait ball, avoiding pinks and by-catch. Nice to play the fish with no lead, a very clean way to fish. We hammered them til 6pm then snuck in for a drink, what a fun day. Yesterday was a similar day, we fished the east side more in the am and found a decent number of springs. I grabbed a 47 inch halibut, 42 lbs on the salmon rod trolling deep for halibut or salmon. Keep in mind we now release halibut as per regulation, over about 48.5 inches. I saw evidence of a late bite out west on the fish board, seems the afternoons are hot right now. So yes, this season is in full swing now, and most of us are enjoying great fishing. Nothing really funny has happened on the guiding front yet, no chaos or blown net jobs, everyone very composed and holding it together perfectly. About the time the first wave of pinks shows and the first southeast wind storm we should have a few laughs in here, you all will be the first to know. 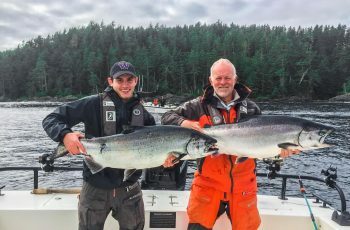 Looking forward to the new trip tomorrow, fresh fish in and buckled rods, to then goodnight from Langara, Mike Tonnesen, Head Guide Screamer.